Here is a cute deal if you have little ones. 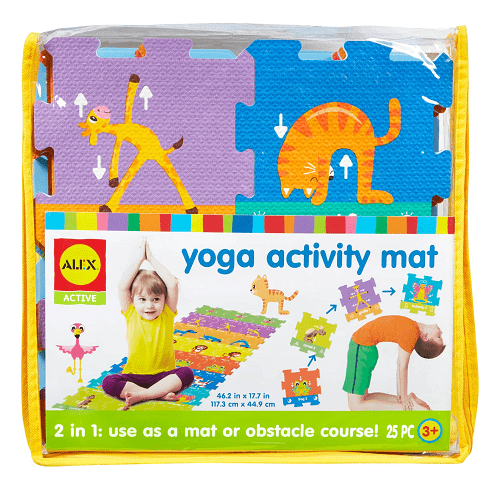 Nordstrom is offering this Alex Toys Yoga Activity Mat for $11.45! That is down from the normal price of $23.99, for a 50% savings. Plus it ships for free, as all orders from Nordstrom.com do. Illustrated with the sequences of poses for such stretches as cat/cow and downward-facing dog, your child can have hours of healthy indoor activity, with myriad layout options beyond the standard mat.